Dolpo trekking is one of the most popular and well-loved destinations located in the north-west region along the Dhaulagiri massif. 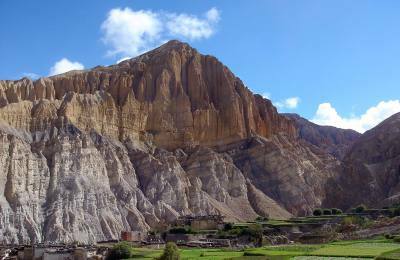 According to legend, the Dolpo is considered to be one of the hidden valleys created by Guru Rinpoche --a refugee for devote Buddhists in troubled times. The people of Dolpo are of Tibetan origin and they maintain their Tibetan culture with monasteries that follow Tibetan Buddhism closely. 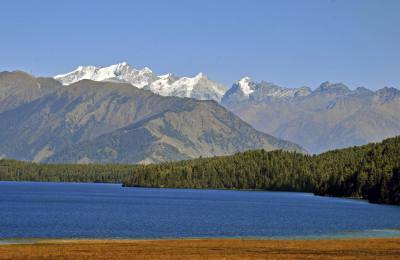 Dolpo is one of the most remote and least exposed areas in Nepal. These unexplored, high altitude valley was opened in 1989, as this region was isolated for long, people in this region have preserved their lifestyle, their unique culture and theirtradition has remained far beyond the modern society, therefore, the culture and lifestyles of the Tibetan origin people of here have been the prime attraction for many. 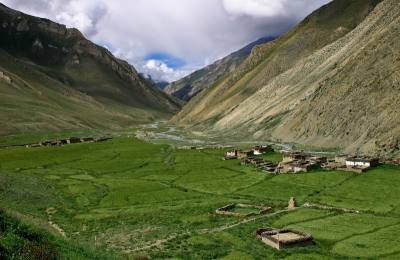 The people of Dolpo have a primitive lifestyle with their own dialect and culture. During the time of trekking to this wonderful area, you can visit several unique monasteries (gompas) like SheyGompa (The Crystal Monastery) which is an important pilgrimage site for Tibetans. The interesting thing is that the culture of the people inhibiting in the area has become one of the best preserved example of Tibetan Buddhism in the world. Their unique hospitality and gorgeous landscapes of the areas not only has enchanted many trekkers but has been fondest and lifetime experience for many. Dolpo has been like a living library for many researchers who love to explore the beginning of the human civilizations and Tibetan Buddhism, apart from many other attractions, SheyPhoksundo National Park, the largest national park in Nepal. Besides that the SheyPhoksundoLake and its crystal waters, the rocks, forests, snow-capped peaks in its surrounding is one of world’s natural hidden wonders. The snowy peaks, ancient isolated villages, rich wildlife, reliable Buddhist Monasteries and wonderful lakes no doubt enthrall every one of us who visit to the area. 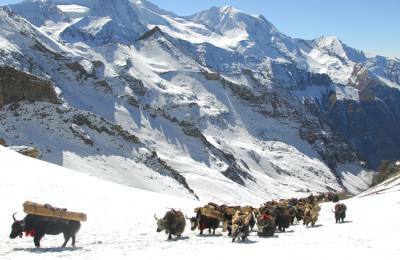 There are several routes to Dolpo, especially from Pokhara and Jumla. The journey begins with flight from Nepalgunj to Juphal. Subsequently, from Jupal, we head to Dunai, the district headquarter, along the banks of BarbungKhola we continue to Tarakote, known locally as Dzong for its hilltop fortress from TarapKhola we reach at the highest point of the trek Numa La (5,190m) from where we can see the magnificent views of Dhaulagiri to the south and Tibetan ranges C Kugung La and Khyung La to the north. Then we descend down to Suli Gad river to Raha, the park entrance and finally to the hamlet of Juphal. From there, we catch plane to Nepalgunj or Pokhara or direct flight to Kathmandu.